FIFA’s Sepp Blatter reportedly reconsidering decision to resign. FIFA president Sepp Blatter attends a press conference on May 30, 2015 in Zurich after being re-elected during the FIFA Congress. The idea of no longer being the top boss at the world soccer governing body is apparently not sitting very well with Sepp Blatter, who is reportedly considering throwing out his resignation. Citing an unnamed source, Swiss newspaper Schweiz am Sonntag reports that Blatter is reconsidering his decision after receiving support from African and Asian countries, according to the Telegraph. FIFA declined to comment on whether there has been a wave of support for the 79-year-old Blatter, who was elected to a fifth term only days before his surprise June 2 resignation. Although the Swiss report was based on an anonymous source, it was apparently credible enough to get the head of FIFA’s audit and compliance unit, Domenico Scala, to comment. “For me, the reforms are the central topic. That is why I think it is clearly indispensable to follow through with the initiated process of president’s change as it has been announced,” Scala said on Sunday, according to the Guardian. Everyone notes that part of the reason why the anonymous report is seen as at least somewhat credible is because Blatter is not exactly known for fulfilling his promises. 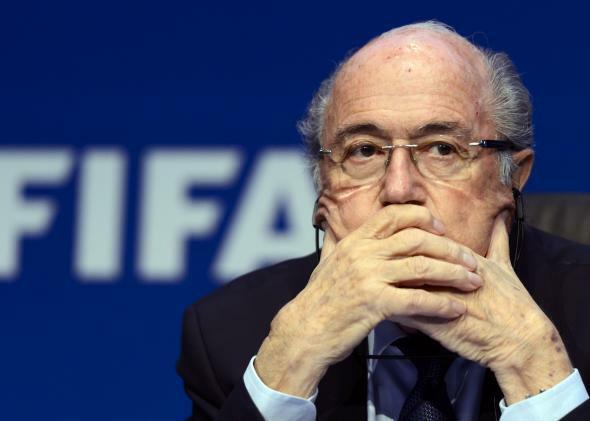 Blatter had vowed in 2011 that his fourth term would be his last but then changed his mind. The FIFA executive committee is scheduled to meet on July 20 to set the date for the election of Blatter’s successor.